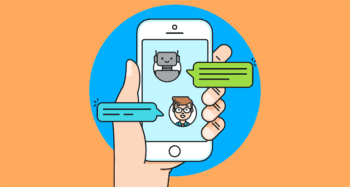 The kinds of automated phone service we are now used to, have been around for a while – as soon as automated voice messaging became available, Interactive Voice Response or IVR became a popular way for businesses to bring down their labor costs. Nowadays, when you call any large or more established business, it's not unusual for you to get an automated voice “robot” instead of a person. IVR uses algorithms to figure out what the caller is saying, and responds accordingly. But in the overwhelming majority of cases, it's not very smart. Since the “old days,” when IVR was new, tech firms have made giant leaps in what’s called “context-aware computing,” the ability of computers to use newer and better algorithms, along with big data, to really know what we’re up to. 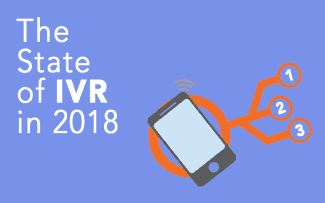 But, a lot of that technology seems not to have made its way into the IVR marketplace. When you call into, say, your Internet Service Provider, your bank, or your doctor’s office, you’re often met with extremely unintelligent IVR. Your experience may start with a recorded message welcoming you to the business — and in some cases, this message will even repeat twice. The IVR may prompt you to select ‘nine for Spanish,’ tell you that the call may be recorded for any number of reasons, or remind you to “listen closely because our menu options have changed,” after which the IVR will often ask you for a long identifying number, for example, your account number, to figure out who you are. This is where context-aware computing comes in. These businesses have individual customers who call them over and over. They should be able to simply link the person’s cell phone, which is increasingly where we are calling from, into the system and create a message like “Hello (your name) – is that you?” At the very least, the system could figure out things like whether we need Spanish or not, or keep a one-time authorization on file showing that yes, we know, we may be recorded. 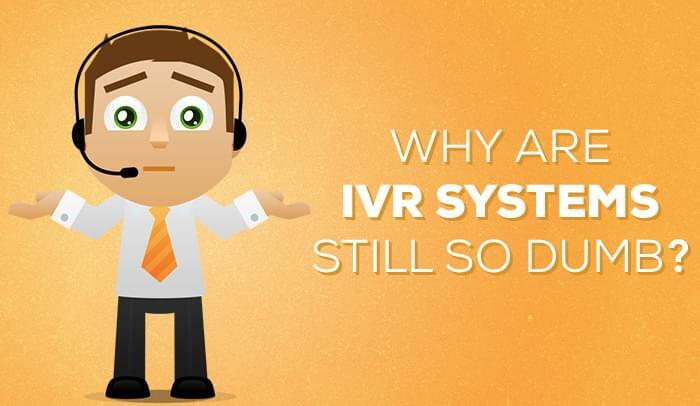 The reality is that is that most IVR systems are still designs to be generic — to answer any caller in the same basic, aggravating way. This adds to that terrible complexity that we so often find when calling any business above a certain number of employees. Automated service was made to be convenient, but for many busy customers trying to multi-task during the day, it’s become a nightmare! Although today's IVR seems to be worlds behind some of the other vanguard technologies on the market, there is evidence that some pioneers are likely to help these kinds of call center technologies catch up at least a little bit. With a background in research at both Harvard and MIT, Guy Mounier is an entrepreneur and computer scientist looking closely at “non-linear system behaviors” and the potential for bringing order to chaotic situations. After cofounding a company called CustomerMatrix, Mounier contends that he's getting closer to figuring out a new kind of software that's going to help with dynamic learning, and combined IVR and what he calls “cognitive computing” to make virtual response more responsive in the real world. Mounier’s enterprise cognitive systems innovate aspects of customer relationship management to help salespeople figure out how to serve customers. In some sense, the same principles could be applied to the IVR systems that businesses use to answer the phone. In the future, says Mounier, companies will adopt this kind of cognitive intelligence and apply it to IVR to promote customized customer situations. Bill Hughes works for Callfire, a company designing IVR for a range of clients, including companies in high-security industries like finance and healthcare. In a joint conference call on Jan. 8th, Hughes outlined some of the work that the company is doing, and some challenges that apply. The idea, said Hughes, is straightforward: with new cloud technology, IVR can leverage internal databases to figure out more about who is calling. The system can send a server query to get XML data showing things like purchasing history. Remaining obstacles, he said, often revolve around privacy and security issues, especially in finance, where data use can violate industry laws, or in medicine, where stray data could run afoul of infamous HIPAA regulations. Still, he said, there are ways to get around this, for instance, by encrypting sensitive data, or by not logging it into a database. Responding to the idea that capturing a cell phone number could allow IVR to bypass all kinds of lengthy security processes, Hughes said in his view, a person’s mobile number will probably soon become as important as their social security number as an identifier, at least on the phone. In the past five years, he said, he’s seen a lot of advancement in what’s being done to make IVR smarter and more accommodating. “The sky’s the limit.” Hughes said. Many experts are agreeing the final barrier comes down to cost – and choice. Too many businesses are choosing to inconvenience their customers in major ways, wasting boatloads of their time. 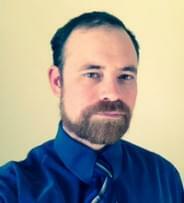 So listen up, execs: Your future IVR is out there. 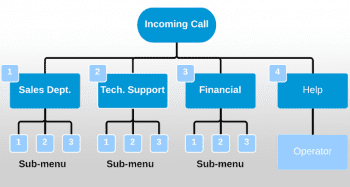 Look at your call intake systems – and fix them.